Really Good Teachers around the country shared their best literacy teaching tips to help others improve their teaching techniques. 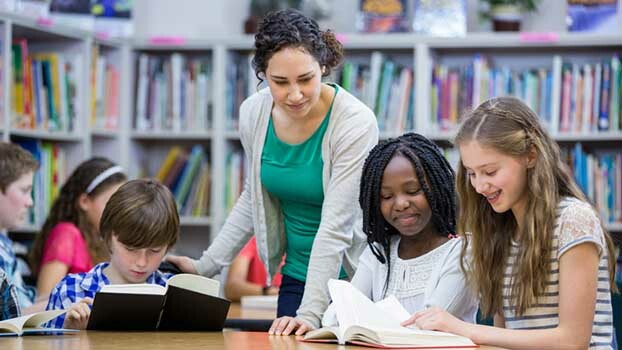 From using clever pointers while reading to engaging students through acting, there are ideas that will help push your literacy teaching skills to the next level. Find out how some of the very best teachers introduce literacy skills to their students! “I have found that offering my students a video recorder and/or computer so they can record their own learning efforts is a powerful teaching strategy,” shared Dawn, a 2nd Grade Teacher, in Powell, TN. “I have students record their own vocabulary and spelling words, phonics cards, and leveled readers. I also have them record their own pieces of writing before editing and sharing; it’s amazing to note how many revisions they will put their writing pieces through before sharing. What are some of your favorite literacy teaching ideas? Share them with us below!